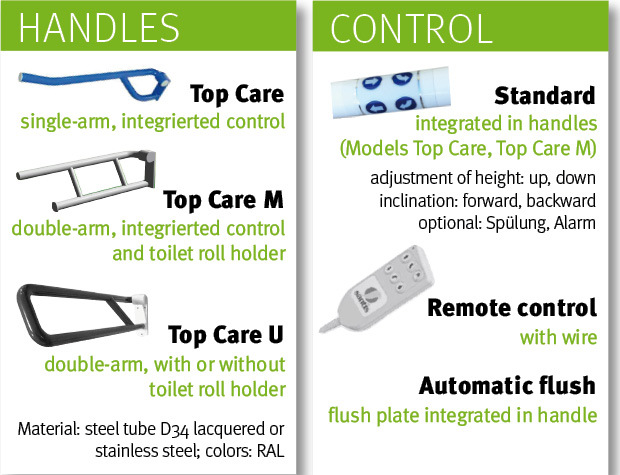 The toilet lift Silver Care is the wall-mounted variant of the toilet lift model Care Plus. 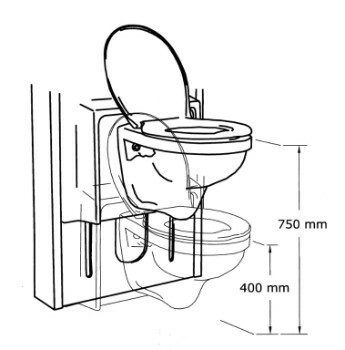 The toilet is fully adjustable in height and inclination- Furthermore the toilet is accessible through spring loaded and multi-functional handles. Optionally this unit can be flexibly installed through the use of a powerful delivery pump, regardless of existing drains or local conditions. 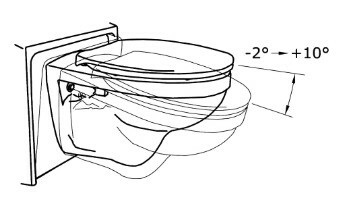 The lift toilet can be electrically adjusted in height, in a range of 400 mm to 750 mm, as well as in inclination (up to 12 degree). 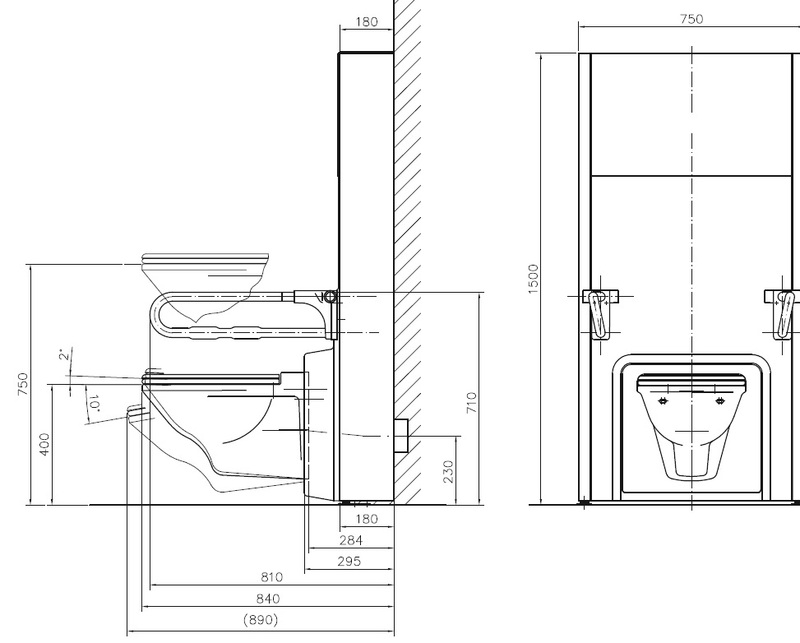 The lift toilet Silver Care can be configured as desired. 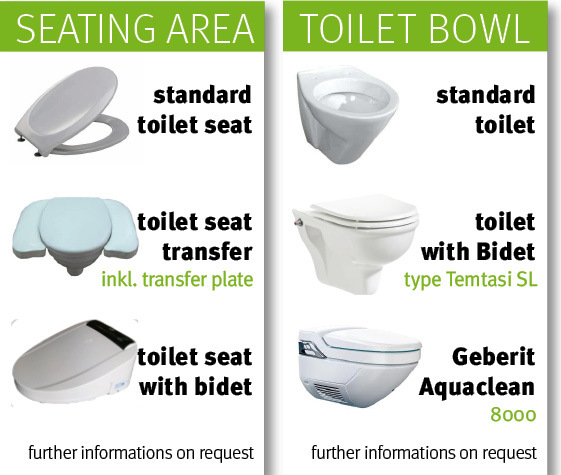 For the wall-mounted element, you can choose between different handles, controls, seats and toilet bowls. 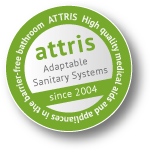 For flexible installation of surface-mounted unit the toilet lift Silver Care can also be equipped with a powerful Sanitop feed pump being independent of existing installed drains.